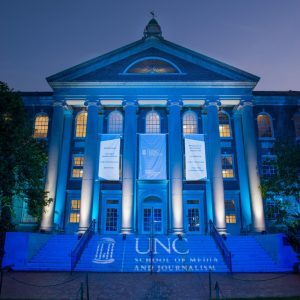 Carolina Connection is produced by students of the University of North Carolina at Chapel Hill School of Media and Journalism. Our live broadcast is heard Saturday mornings at 8:30 on WCHL 97.9 FM and 1360 AM – Chapel Hill’s News, Talk, and Tar Heel Station. If you’re outside of Chapel Hill, you can hear a live stream at Chapelboro.com. Our stories also are heard on radio stations throughout North Carolina. Miss the show? You can hear any of our past programs here, or download them on iTunes.